If you are anything like us then you probably read this post title a la Peter Brady. 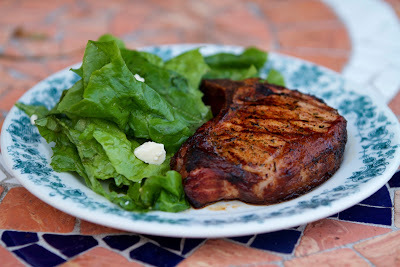 We, however, did not have applesauce with these pork chops. hickory chips are all we needed for these locally sourced pork chops. What is so special about these chops? Well, these beautiful specimens are from our Pork CSA share from Millstone Farm in Wilton, CT. On Friday, we gleefully drove out to the farm and picked up our 20 pounds of pork which included chops, shoulder, sausage and spare ribs. The meat for this first-ever Millstone Pork CSA comes from a cross of two heritage breeds. The pigs were born and raised on the farm and head farmer Annie Farrell let us see where the pigs lived. We also were introduced to a big 'ol beautiful boar. She said the pigs ate fruit and vegetable scraps from The Dressing Room, leftover bread from Wave Hill, and of course rooted around the woods like pigs naturally do. The meat was butchered and packed by Saugatuck Craft Butchery in Westport. Farrell said the decision to use them just made sense because of their dedication to sustainably and humanely raised meat and nose-to-tail philosophy. We have some big plans for the rest of the various pork cuts now filling our freezer. Oh, and this Friday, we get to pick up our bacon. With meat this good, it's going to be epic. We can't wait! Do you belong to a meat CSA? That is wonderful. 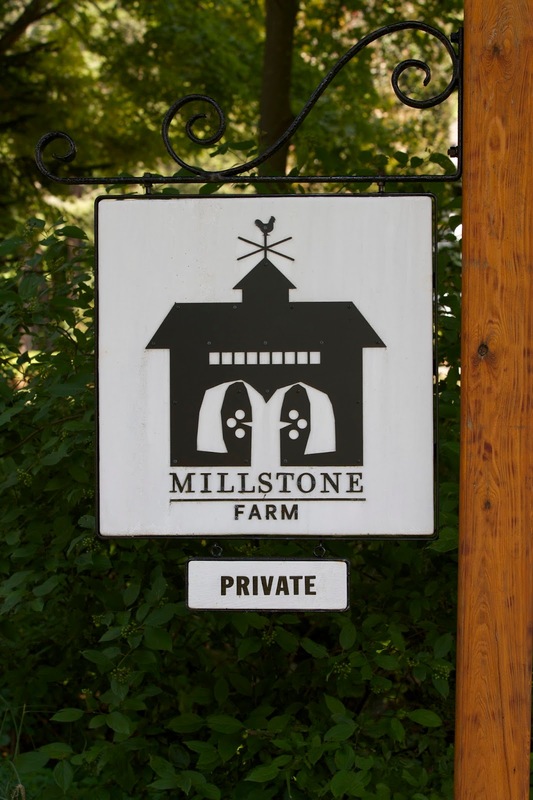 I wish there were something similar closer to where I live but if we get to that area, I'm definitely stopping by Millstone Farm! This is awesome! How is it cost-wise? It's $8 per pound and in each share you get about 20 pounds. For this kind of meat it's not too bad; compared to the traditional supermarket it's pricey. What a great thing! I love pork and wonder why we don't eat more of it! Having a freezer stocked would certainly help. 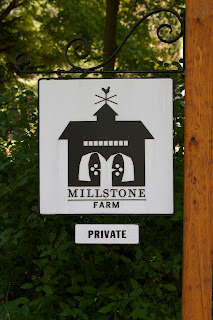 Hope to get out and see this Millstone Farm. The area is beautiful! I think Millstone has a huge success on their hands with this CSA. It really is wonderful knowing our freezer is stocked.